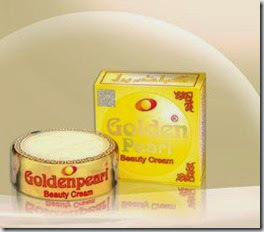 Golden Pearl cream like cosmetics have serious side effects. “Cosmetology is a business, I don’t practice cosmetology, I only deal with the dermatological diseases”, Said Dr Uzma Ali, Associate Dermatologist, Capital Hospital Islamabad. Cosmetics are the medicinal preparations that are designed to enhance the normal skin. Nowadays the market is full of creams and lotions that claim to whiten and clear the skin of acne in no time. People start buying them without knowing what they can cost to them in the long run. Of course, you would like to have a clear and glowing skin, but you should know what product is effective, safe and without side effects. But when you search on the internet yourself and start using a product just after reading a few positive reviews may cost you some weird side effects. For example, I heard about golden pearl whitening cream, it is highly advertised and used by the young girls to make their skin fair. It does work, I have myself witnessed few girls whose faces were dull and pimpled, but gold pearl made them white and comparatively clearer. I also tried to believe, but when I was rotated to dermatology for my training, I came to know that creams and lotions like Golden Pearl Whitening cream are steroid preparations. They contain steroids and a few more chemicals. Steroids, work and make your skin clear and white but they also can cause severe side effects. Girls continue to use these steroid preparations for months and this long-term use, make them addicted to these creams, when they stop using them, acne and pimples start to appear again and this time they become even worse than before. So girls start using them again and one day the steroidal cream stops working and then their immunosuppressant skin can’t do much to protect itself from acne and pimples. So I advise you not to go for these freely available, highly advertised creams. These are mere steroids, that will do more harm than good. Use only FDA approved medications and as far as cosmetics are concerned, use well reputed and safe ones. If you have acne, go to a dermatologist, he or she will give you a useful advice, that will save your skin and also your money that you spend on useless and dangerous products. “The use of such creams is also an example of drug abuse,” Said Dr Uzma Ali, the associate dermatologist, Capital Hospital Islamabad.